The paper presents some of the problems of classification and annotation of speech sounds that have their own phonetic content, phonological function, and prosody, but they do not have an adequate linguistic (or text) representation. One of the most important facts about these "nonverbal vocal gestures" is that they often have a rich semantic content and they play an important role in expressive speech. 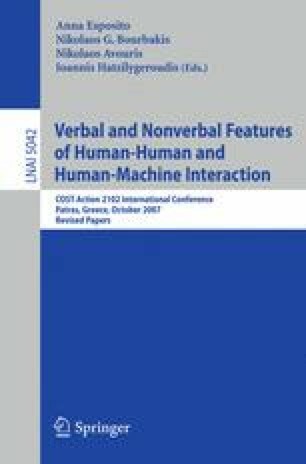 The techniques that have been used in an effort to find an adequate classification system and annotation scheme for these gestures include prosody modeling and approaches comparing the nonverbal vocal gestures with their verbal (lexical) and body counterparts.